WFTV is reporting this morning that there will be a plea deal in Casey Anthony’s check fraud case. It appears that the terms of the plea deal might not be until next Monday afternoon. I guess we’ll have to wait and see. 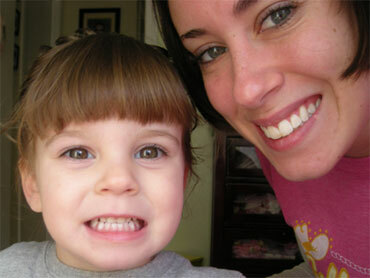 Casey Anthony told murder detectives they would never trick her into a confession that she killed her daughter Caylee. That was the day she was indicted for first-degree murder. Now, Eyewitness News has learned she will take some legal responsibility for allegedly cleaning out hundreds of dollars from the bank account of her ex-best friend, Amy Huizenga. The evidence is clear, including security videos, receipts and canceled checks, and Casey has paid back the $664.25. Casey Anthony, the Orlando mother who insists she didn’t murder her 2-year-old daughter, may be prepared to admit to some financial finagling — allegations of check fraud. That case against her, involving a former friend, has been delayed, signaling a possible plea deal. Anthony’s former friend Amy Huizenga accused her of check fraud. The trial was scheduled to begin Jan. 25, but Orange County court officials said it won’t happen. Instead, there will be hearing in the case on that day, and CBS affiliate WKMG reports the delay could indicate a plea is coming. This entry was posted on January 20, 2010 at 8:02 am and is filed under Uncategorized. You can subscribe via RSS 2.0 feed to this post's comments. Can’t wait to hear what the “deal” is! NO, she will not plea on the murder charges. She’s way too full of herself. Surely it will be twisted and Casey didn’t pay off jack, Baez did. I think she’ll do what ever her counsel recommends. If they think the state doesn’t have sufficient evidence, she won’t take the plea deal. I have to admit, some of it looks shakey. The best they could do is hope all the hysteria and the cultural beliefs and norms within the area will do her in; it probably will. Florida State Department of Health/Welfare would step in and make sure she was charged for economic elder abuse for ripping off her grandparents? More fraud charges added to the list. No, CASEY didn’t “pay it back”— Either Mom and Pop or the “Casey Fans” out there who send Money to her in Jail payed it back. No Skin off HER Teeth, still using other people’s Money to pay her Dues. And “take some responsibility”??…. Excuse me— ALL responsibility is hers. I’m just picturing how she sits there, reading a Book or something, while her Staff and Crew are cleaning-up this Mess she’s made. And no, she won’t cave-in. And she’ll never learn her lesson either. People who do bad things and have other people take care of it for them aren’t phased by Consequences. Personally, I think Caylee paid off the thefts for her mom, just like the poor child is supporting George & Cindy, and sending Lee & Mallory along on cruises. I hope sincerely that at least she is not paying for the new found friends of George & Cindy to vacation. I am sure there is a card up the sleeve of the defense, and they will try to use her “I would steal lie and cheat to find my daughter” line. I hope to hear a loud and clear I plead guilty, but somehow I am still waiting for the other shoe to drop. I think she will ride this out to the very end, and then appeal, appeal, appeal, til we are so sick of looking at her we could scream. She is so obvious, but thinks she is smarter than everyone else. I wonder if sitting in a jail cell, its finally sinking in to her that she screwed up her life and everyone who cared about her BIG TIME.